Insight Editions has a pretty full lineup planned for the San Diego Con this week. The publisher has a full slate of stuff to show off too including the Dark Knight Manual and the awesome looking Art of Blizzard. Comic-Con International is an opportunity for Insight to celebrate recent and upcoming titles such as The Dark Knight Manual,Batmobile: The Complete History, The Art of Blizzard, Fringe: September's Notebook, and The Essential Supernatural: On The Road With Sam And Dean Winchester. As a tie in to The Art of Blizzard, special guest artists from Blizzard Entertainment will be on hand to sign Diablo III Book of Cain and posters from Art of Blizzard. Comic-Con International is also the show where new projects debut. This year Insight will give fans a sneak peak at future titles Pacific Rim, Man of Steel, Spongebob, and showcase special collaborations with writer-director Guillermo del Toro. Artist and illustrator Scott Campbell, Amazing Everything: The Art of Scott C.,Thursday, July 12th at 2 PM. Writers Micky Neilson, Flint Dille, Matt Burns, Book of Cain, Friday, July 13th at 10:00 AM. Game creators Chris Metzen, Sam Didier, The Art of Blizzard, Friday, July 13th at 4 PM. 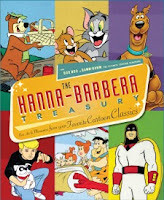 Cartoon historian and creator of Cartoonbrew.com Jerry Beck, The Hannah-Barbera Treasury and 100 Greatest Looney Tunes Cartoons, Saturday, July 14th at 12 PM. Award-winning illustrator and concept artist Iain McCaig, Shadowline: The Art of Iain McCaig, Saturday, July 14th at 3 PM.